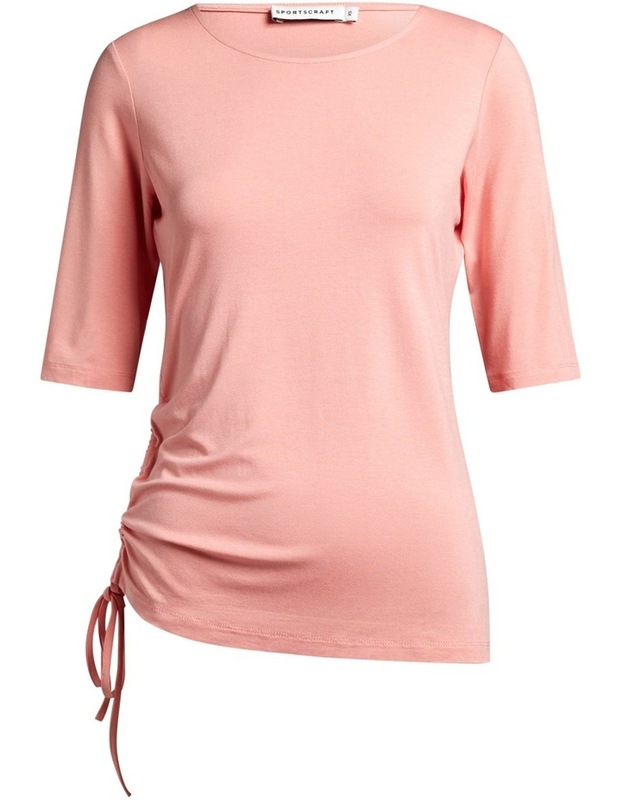 Not just your average tee, Joyce features adjustable ties on left side seam to created a gathered, asymmetrical effect. 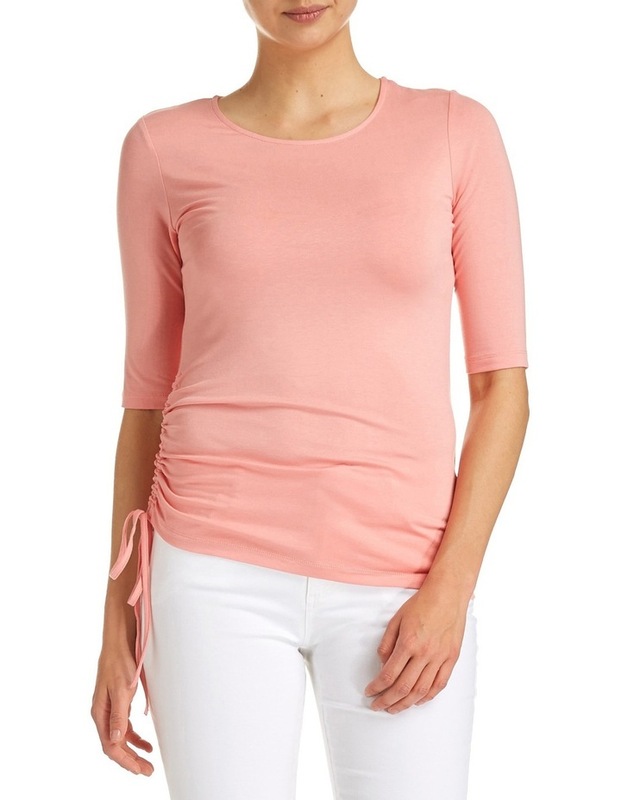 This style is complete with half sleeves, a round neckline and comes in a slim fit. Wear it this spring with the Nikki Denim Skirt.